Fresh, fast, pizza created by you, hand-crafted by them! 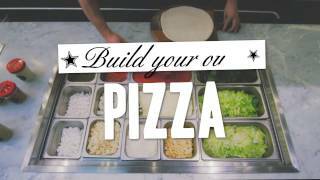 Fratelli Famous is a pizzeria that allows you to build your own pizza and is ready to eat 90 seconds from creating your perfect pizza. Fratelli Famous also has an app that allows you to pre-order straight through on your mobile phone or you can also get your pizza delivered to you through Deliveroo.